London 2012 opening ceremony clip released Jump to media player Organisers of the opening ceremony of the London 2012 Olympics have released a 30 second clip from a dress rehearsal for the event. 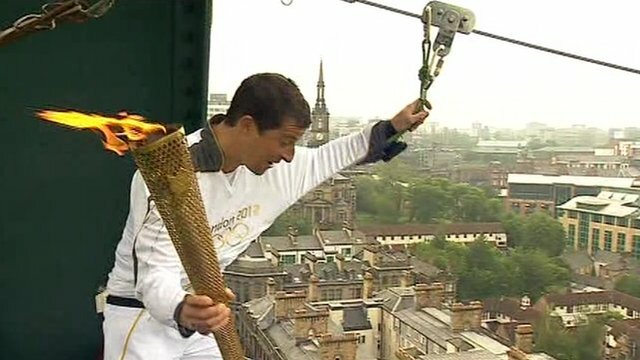 Olympic flame' s relay highlights Jump to media player It has been carried on an abseil rope, a cable car and a punt. Here is a look back at the journey of the Olympic flame to over a thousand different neighbourhoods across the UK. 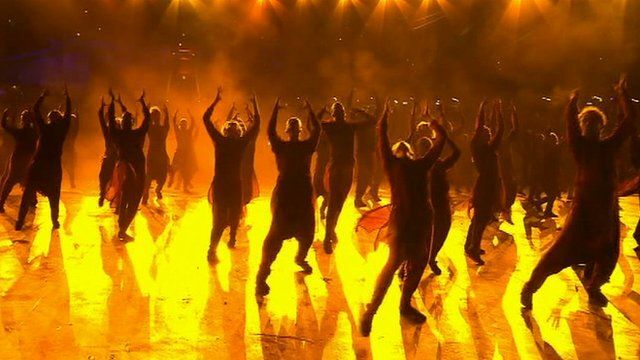 Organisers of the opening ceremony of the London 2012 Olympics have released a 30 second clip from a dress rehearsal for the event.